Imagine a high-pressure water hose turned on full blast. The exiting water applies a lot of force on the end of the hose. 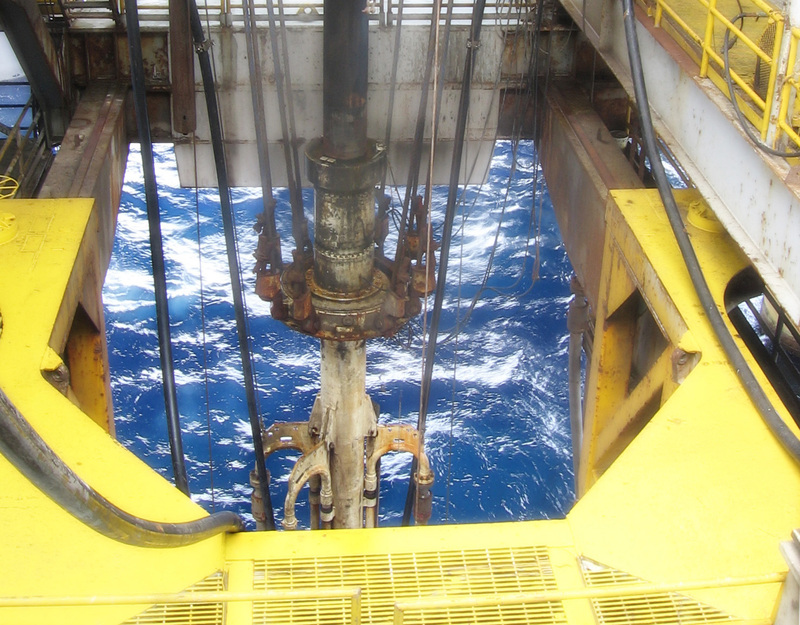 That same force is at play when mud rushes out of the bottom of a drilling riser during an emergency disconnect event. The flow of mud has a significant effect on how fast the riser recoils upwards after it has been disconnected. Accurate modelling of the mud flow and prediction of the riser’s behaviour is critical to ensure that control systems are properly configured for a safe emergency disconnect. In this article, we will compare mud shedding modelling approaches and discuss the effects on predicted riser recoil behaviour. Inaccurate recoil prediction could lead to inadequate recoil control settings on the rig, resulting in damage to the upper riser or BOP if the riser shoots up too quickly or does not lift off the BOP sufficiently. How is Mud Flow Modelled? During an emergency disconnect, a drilling riser’s contents are free to exit at the base of the lower marine riser package (LMRP). The riser is typically filled with mud, which is heavier than seawater. Due to its weight, the mud column will ‘fall out’ of the bottom of the riser at high flow rates that push the riser upwards. Drilling mud and completion fluid have historically been modelled using the 2-parameter Power Law or Bingham Plastic models. Testing to obtain mud properties for these models is easy to conduct in the field, and it is relatively simple to incorporate these models into FEA software. 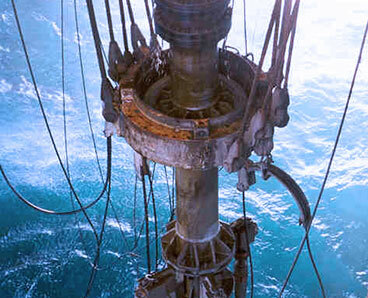 As a result, 2-parameter models are often used in drilling riser recoil analysis software packages. The Bingham Plastic model tends to be the most popular. As mud testing methods have improved in recent years, 2-parameter models are now being replaced with 3-parameter models, because they better match experimental data and are more accurate. The Herschel-Bulkley model is an example. A theoretical comparison of the shear stress vs. shear rate relationship for the three mud flow models is shown in the following chart. The three models give similar responses at high shear rates, but there are significant differences at low shear rates and this could have implications for riser recoil response. We applied the models to a real life scenario to see how the results compared. 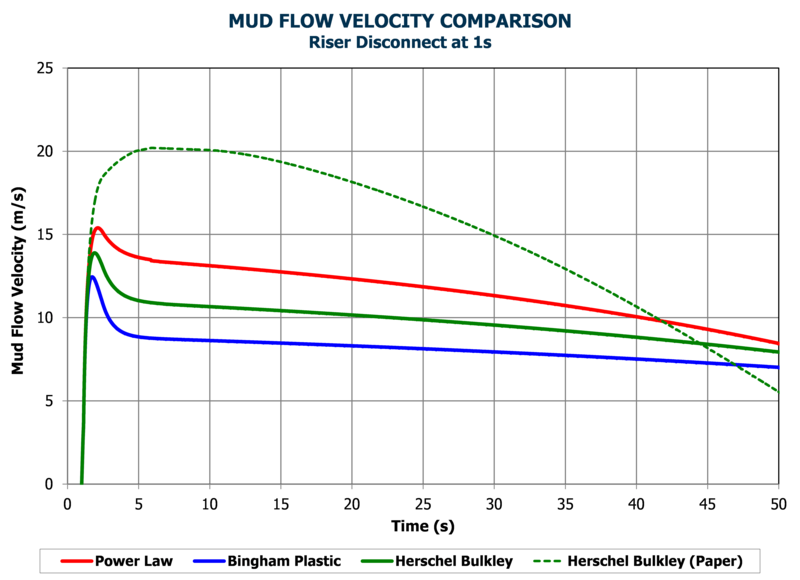 To demonstrate the importance of choosing an accurate mud model, we evaluated the recoil response of an existing drilling riser system for the three mud models names above; Bingham Plastic, Power Law, and Herschel-Bulkley. 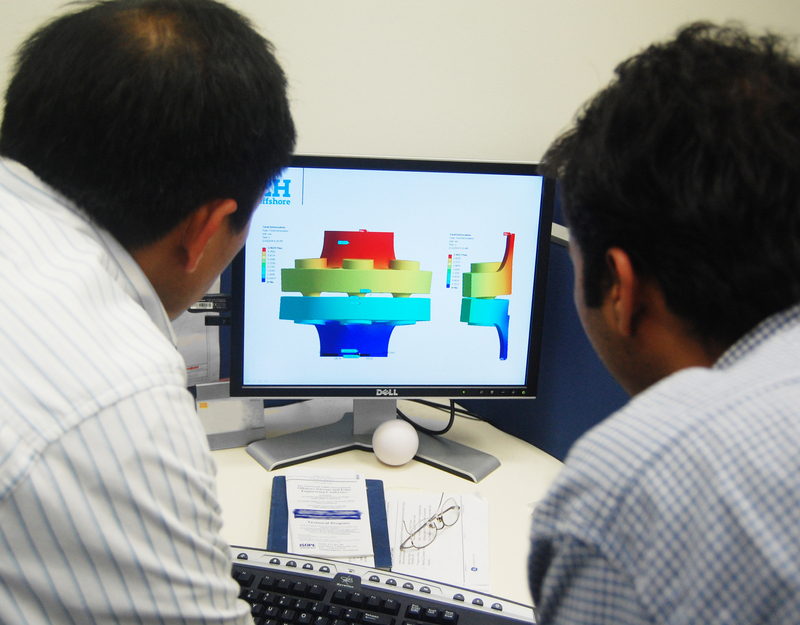 We used 2H’s proprietary software, 2HRECOIL, coupled with ANSYS. 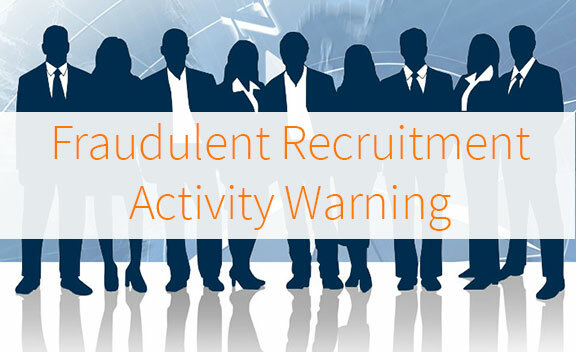 (2HRECOIL has been validated and benchmarked against commercially available tools). Mud flow was simulated to be consistent with the test results published in a Canadian Journal of Chemical Engineering paper “Laminar, Transitional and Turbulent Flow of Herschel-Bulkley Fluids in Concentric Annulus” by Founargiotakis et al (2008). The paper includes a mathematical framework for simulating mud flow using the Herschel-Bulkley model for a common concentric pipe configuration, as well as previous test results to help us benchmark our software. Response of the anti-recoil system was captured in 2HRECOIL via detailed modelling of the tensioner hydro-pneumatic system, including adaptive closure of the anti-recoil valve during disconnect. 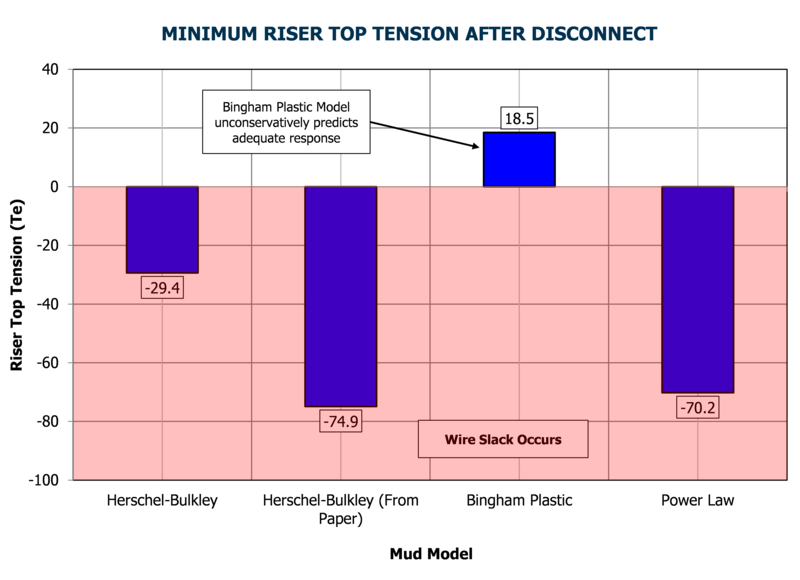 When the mud flow velocity and drilling riser top tension following disconnect were compared, we found noticeable differences depending on which mud flow model is considered. The Power Law model overestimates flow velocity compared to the Herschel-Bulkley model, while the Bingham Plastic model underestimates velocity. These differences in flow velocity result in different thrust forces applied to the base of the riser during recoil. This causes a difference in minimum riser tension immediately following disconnect. Riser top tension is a key factor during recoil. In the test, using the Power Law and Herschel-Bulkley mud shedding models results in negative riser top tension and the recoil response is unacceptable. 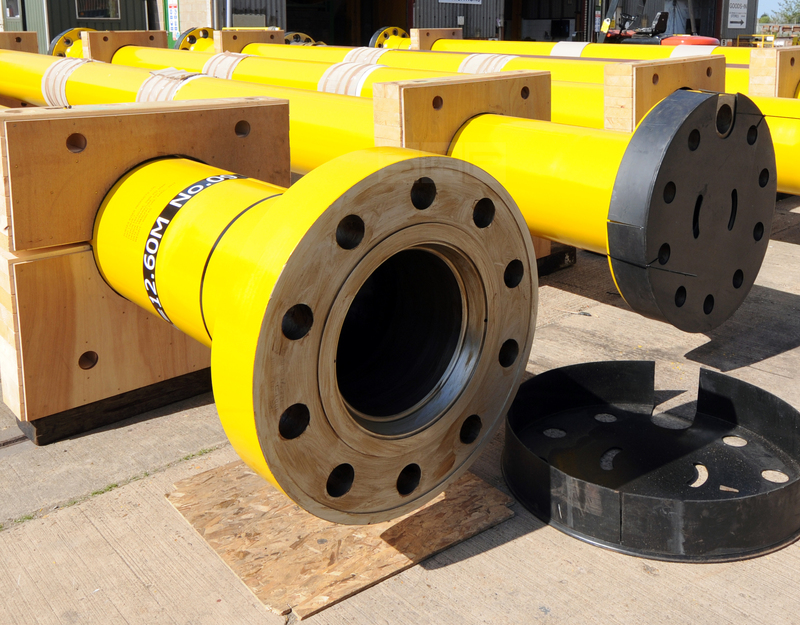 Negative tension can be detrimental, especially for wireline tensioner systems which experience slack in the wire ropes. This can lead to the wires jumping out of their sheaves as well as shock load damage to the wires as tension is quickly re-applied from the riser when it is in free fall. Using the Bingham Plastic model unconservatively results in tensions which remain positive and would be considered acceptable. Using the Herschel-Bulkley model identifies a potentially unsafe recoil situation that is not predicted by the more popular, but less accurate Bingham Plastic model. Whilst benchmarking the mud flow simulation methodology described in Founargiotakis et al (2008), we discovered mistakes in several equations presented in the paper. Mud flow velocities for the Herschel-Bulkley model using the equations from the paper were significantly higher than those obtained from the corrected equations, as shown by the dashed green line in the figure below. Derivation of the ‘correct’ Herschel-Bulkley mud flow modelling equations to match the test results presented in the paper yields the solid green line also shown in Figure 2 below. Significant differences are evident in the mud flow velocity if the equations as presented in the paper are used. The test illustrates the importance of using an accurate mud flow model for recoil analysis. 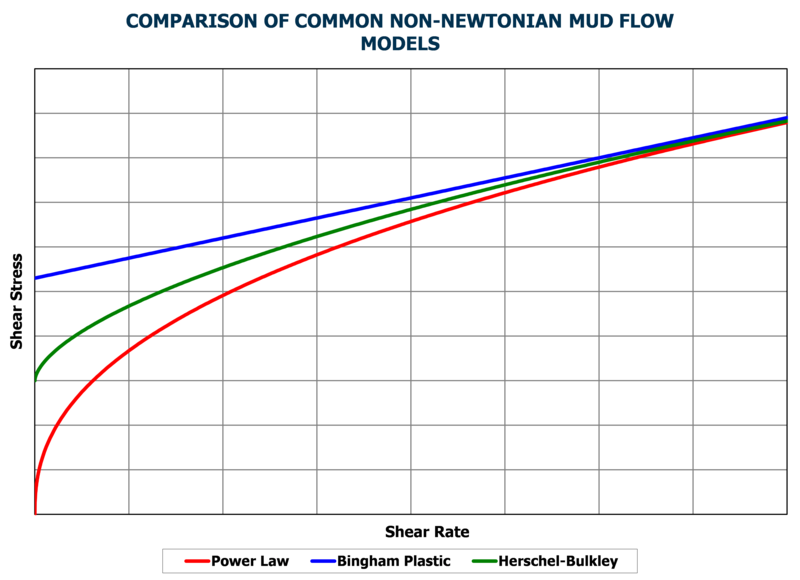 The Herschel-Bulkley mud flow model has been shown to best match experimental data and is what we recommend for recoil analysis. 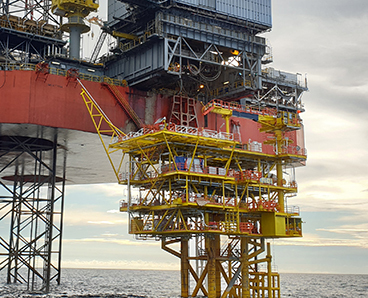 Choosing a different mud flow model can result in under or over conservative analysis, which may lead to inadequate recoil control settings to protect the drilling riser and vessel equipment from damage during an emergency disconnect. You should also note that even using the Herschel-Bulkley model as documented in the referenced paper also produces incorrect results and it is necessary to derive the modelling equations in order to achieve accurate mud flow modelling. 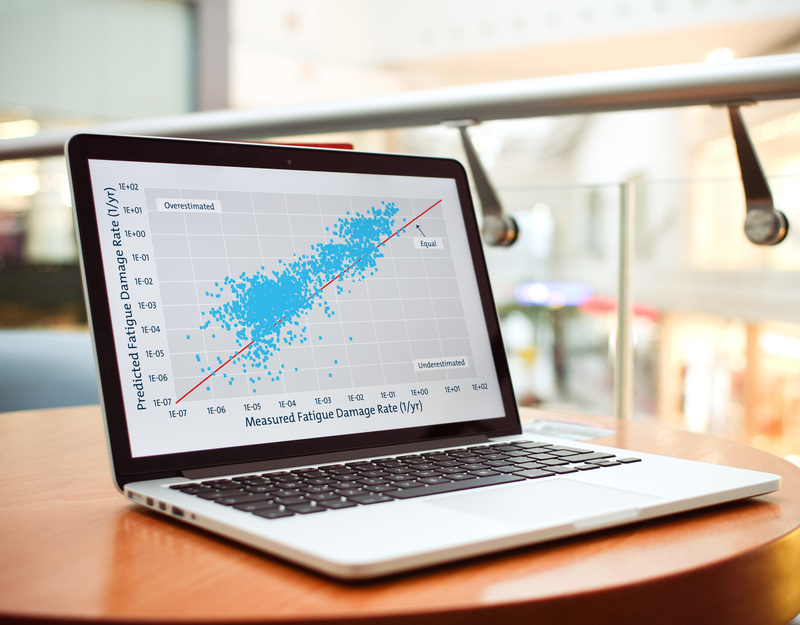 Please contact us for a review of your current recoil analysis if you have concerns about the accuracy of the mud modelling. 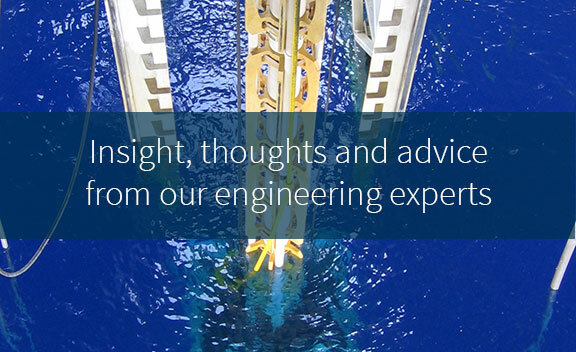 Ryan has ten years’ experience in the engineering design of riser systems, riser components, and subsea equipment. 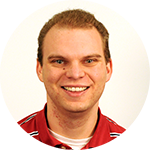 He is an expert in numerical analysis and FEA tools such as FLEXCOM, SHEAR7, and ANSYS.